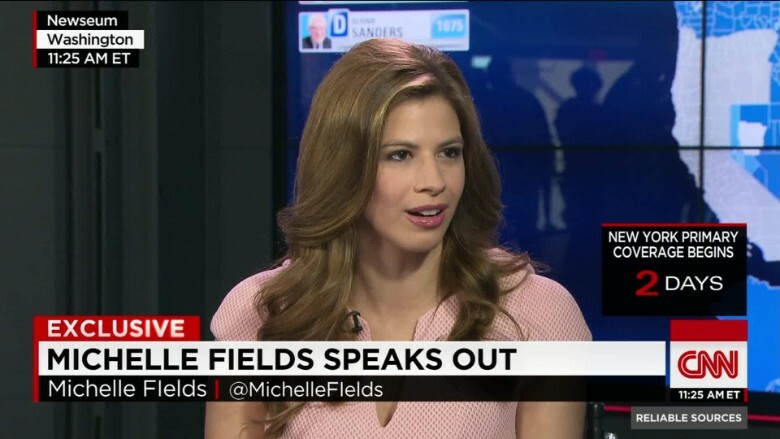 Reporter Michelle Fields, who claims Donald Trump's campaign manager assaulted her, is joining the Huffington Post. Michelle Fields, the conservative reporter who had Donald Trump's campaign manager charged with battery, has a new job. Fields is heading to the Huffington Post, where she will cover the 2016 campaign with a specific focus on Trump and the Republican Party. "After the tumultuous events of the last few months, I am ready to get back to writing and reporting on what is without question the most bizarrely fascinating presidential race of my lifetime (and, perhaps, any lifetime)," Fields said in a statement on Sunday night. Fields, who will start at HuffPost on Monday, said she is "beyond excited to join one of the biggest names in political journalism." HuffPost Washington bureau chief Ryan Grim called Fields "one of the most widely read chroniclers of the conservative movement." The hire brings together a journalist who has spent her entire career steeped in conservative media and a news outlet founded by one of the best-known liberal commentators. Fields, 28, has served as a reporter for The Daily Caller, PJ Media and, most recently, Breitbart News. For three years, she was a regular panelist on the weekly Fox News program "Cashin' In." But it's Fields's recent history with the Trump campaign, not her ideology, that makes the hire so provocative. In March, she found herself at the center of a bitter dispute. Fields said that Trump campaign manager Corey Lewandowski almost dragged her to the ground and left bruises on her arm during a rally in Florida. She filed charges against Lewandowski and, days later, resigned from Breitbart. "I do not believe Breitbart News has adequately stood by me during the events of the past week and because of that I believe it is now best for us to part ways," Fields said at the time. The Trump campaign denied the accusations. 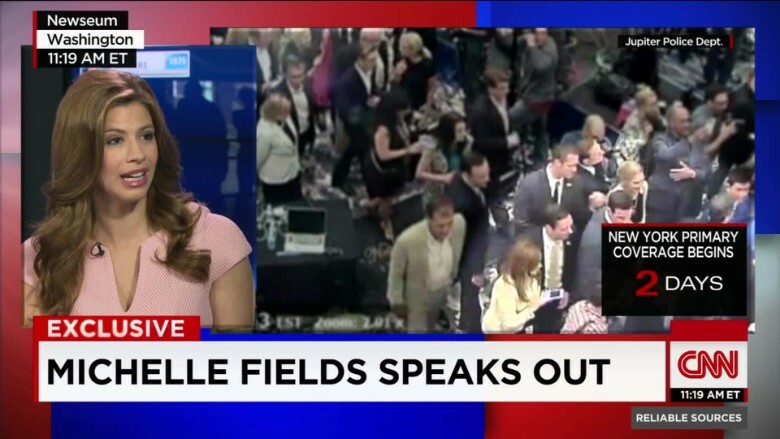 Lewandowski called Fields "totally delusional" and insisted he never touched her. While the Florida police found probable cause to charge Lewandowski with simple battery, the Palm Beach County state attorney declined to prosecute the case. Fields said last month that Trump and Lewandowski "defamed" her, and that she was considering a defamation suit against the two. She didn't respond to CNNMoney's question about the status of the lawsuit. It's doubtful that Fields will get much access to Trump in her new role. Grim said HuffPost will send Fields to Trump's events, but he conceded that she probably won't get credentialed. That's nothing new for the HuffPost, which, along with several other news organizations, has been denied press credentials to Trump events. "None of us get credentialed," Grim told CNNMoney. "I assume that'll be the case for her." Trump's blacklisting of HuffPost is the result of nearly a year of antagonism toward his campaign. The site has goaded Trump ever since he launched his White House bid last summer, initially taking a dismissive approach. A month after Trump announced his candidacy, HuffPost decided to place all coverage of his campaign in its entertainment section. The site's editor-in-chief Arianna Huffington changed the policy in December, saying that Trump's campaign had become too "ugly and dangerous" to treat as a sideshow. In January, HuffPost started appending an editor's note to all stories about Trump, calling him "a serial liar, rampant xenophobe, racist, misogynist and birther." Grim reached out to Fields about the job on Twitter earlier this month. The tweet didn't go unnoticed. One conservative user couldn't resist the chance to needle Grim with a question: Will Fields's work be in the entertainment section?